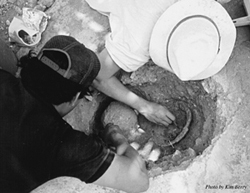 The Archaeological Institute of America is honored to present AIA Society Members with the opportunity to participate in select Earthwatch Institute programs at a special discount of 10% off the listed tuition. In order to register for these discounted programs, Society Members should contact Earthwatch Institute at 800-776-0188 (toll-free US/Canada) and provide their AIA number (located on your member card). Earthwatch Institute is an international non-profit organization that brings science to life for people concerned about the Earth's future. Founded in 1971, Earthwatch supports scientific field research by offering volunteers the opportunity to join research teams around the world. This unique model is creating a systematic change in how the public views science and its role in environmental sustainability.